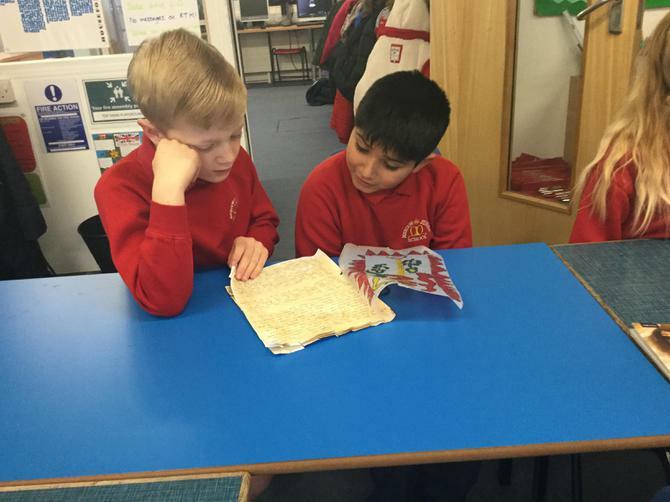 Looking at book reviews in newspapers, helping us to write our own. 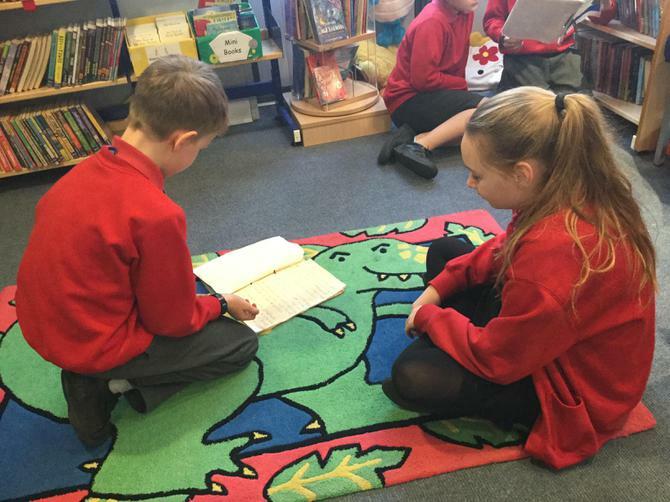 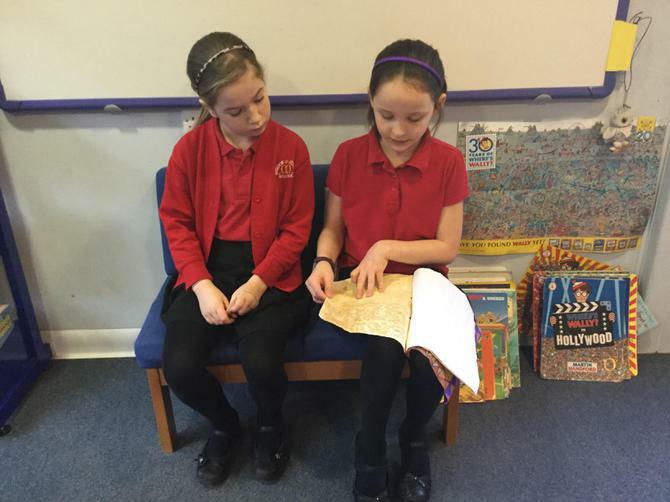 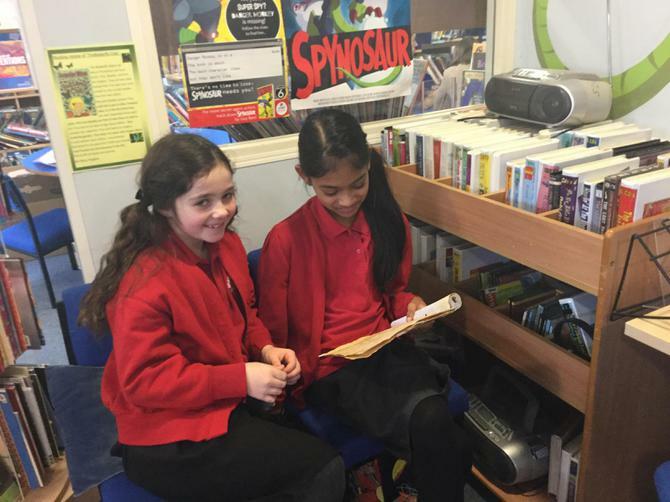 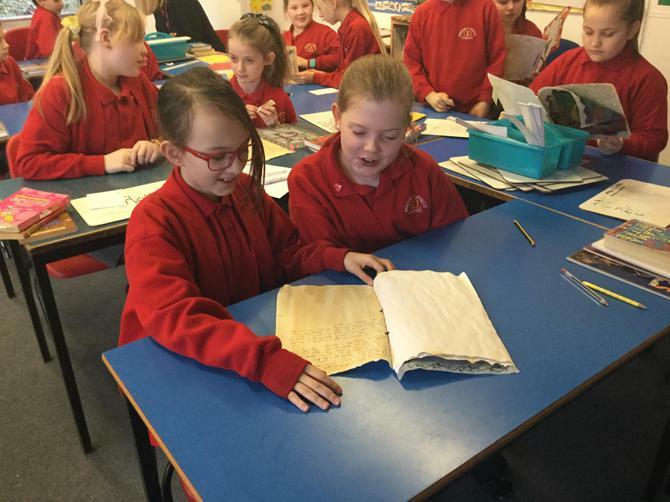 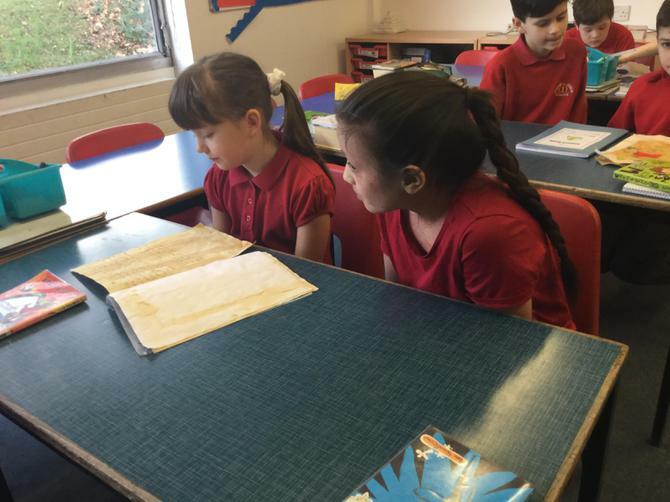 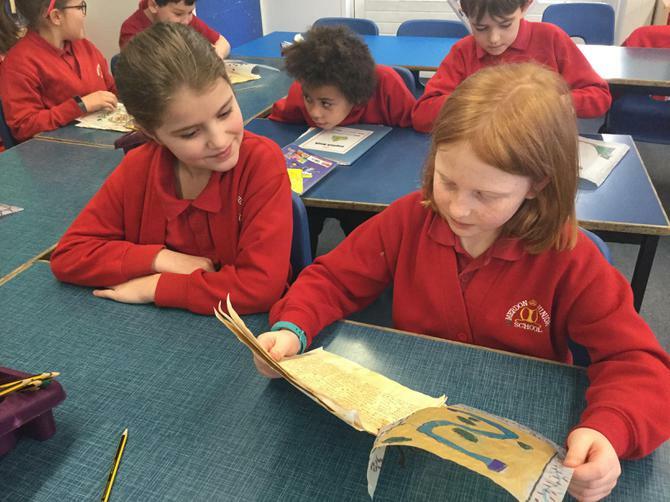 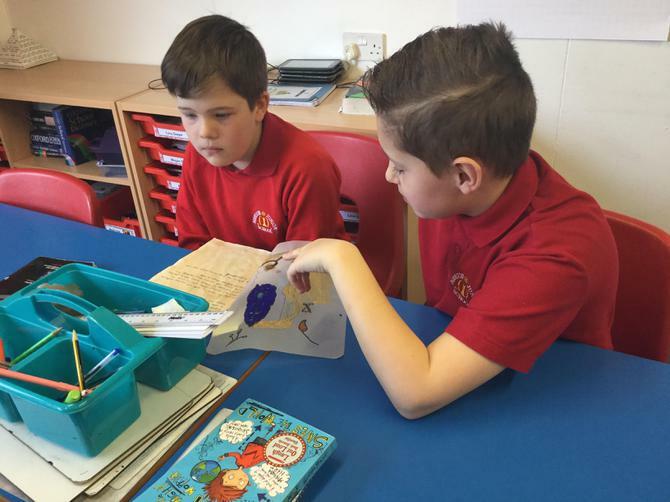 Year 5 came to our class to listen to us read our stories. 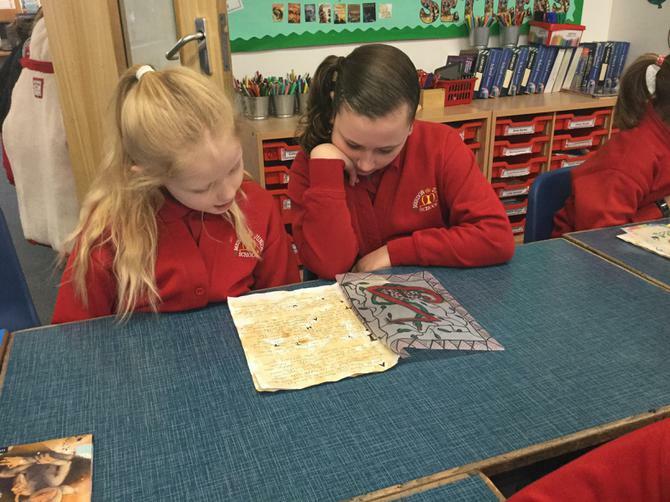 They were really impressed with our use of language and loved the illuminated letter front covers. 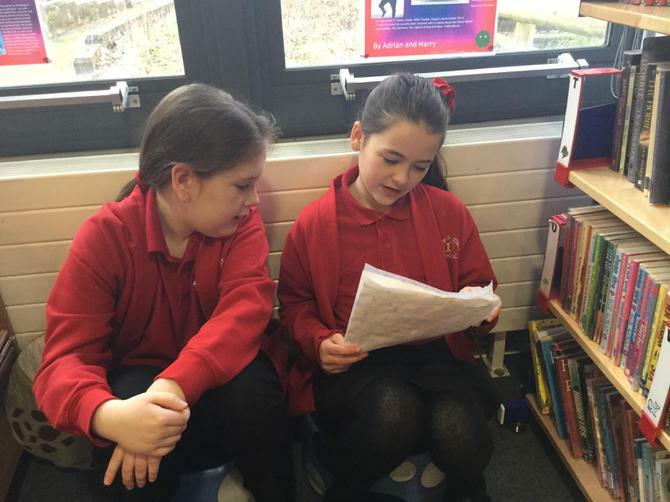 All the work we put into our books was well worth the effort and it was such a rewarding experience to share them with others. 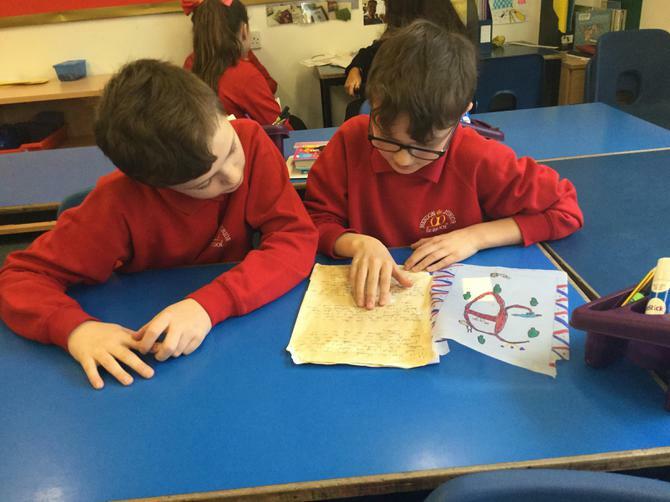 Year 4 are busy making their illuminated letters ready for the front covers of their legends. 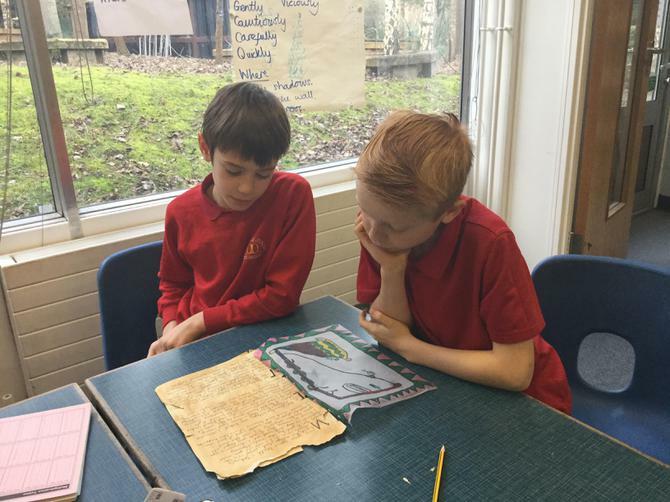 After listening to a fantastic version of Beowulf by Brian Patten, Year 4 planned and wrote their own legends, creating fantastical beasts and brave, gallant heroes and heroines. 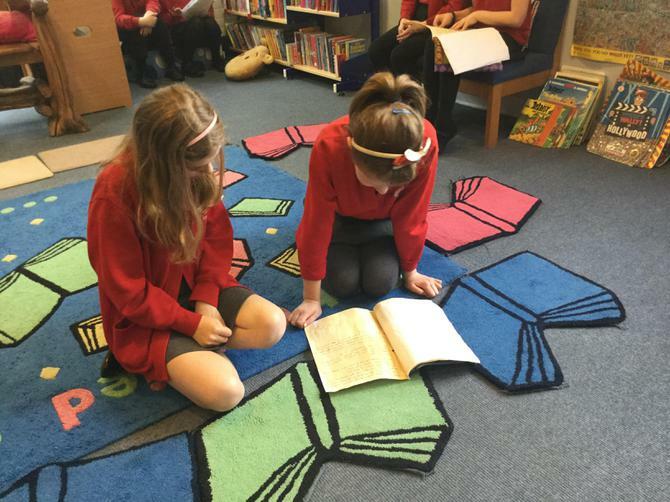 Year 5 will be the lucky readers of their stories next week!